The seeds of China and Vietnam’s bloody rivalry for influence in Cambodia were already apparent to foreign observers in the weeks and months after the April 1975 fall of Phnom Penh, Australian diplomatic cables given last month to the Documentation Center of Cambodia (DC-Cam) show. Born of centuries-old nationalist frictions, as well as Vietnam’s loyalty to the Soviet Union as China subverted the superpower, strains between the fraternal socialist nations would crack in 1979, producing Cambodia’s second civil war after Vietnam ousted the pro-China Pol Pot regime. Yet the potential for China and Vietnam’s competing ambitions to come to blows in Cambodia was clear to then-U.S. Secretary of State Henry Kissinger five months after Phnom Penh’s fall, according to a declassified cable sent to Canberra from the Australian Embassy in Washington. “If Indochina had been a political setback for the United States, it had been a geopolitical disaster for China, which was now virtually surrounded by potentially hostile powers,” reads a September 25, 1975, cable, summarizing Mr. Kissinger’s message on Vietnam and Cambodia’s future. Part of a trove of Australian cables declassified in 2011 and donated to DC-Cam by Julio Jeldres, the official biographer for the late King Norodom Sihanouk, other cables provide fuel for Mr. Kissinger’s speculation, with China and Vietnam immediately jockeying for influence after April 1975. One note, sent from the Australian Embassy in Beijing six days after the Khmer Rouge victory on April 17, 1975, explicitly interpreted celebrations on the city’s streets as being aimed at diminishing Vietnam’s role in the fight. “The Chinese treated the GRUNK victory as their own, taking advantage of Sihanouk’s residing in Peking to replay congratulatory messages from around the world as if they were addressed to China itself,” the cable said, using an acronym for the front formed between then-Prince Sihanouk and the Khmer Rouge. “China, averse to seeing Hanoi dominate Indochina and wishing to capitalize on its own long investment in Sihanouk, has emphasized its hopes for Sihanouk to play a role in the new Cambodian government,” it continued. Two weeks later, the embassy in Hanoi was reporting back to Canberra that the communist Democratic Republic of Vietnam (DRV), which was itself celebrating an April victory over the U.S.-backed South Vietnam, was growing concerned about Cambodia’s loyalties. “The DRV is apparently making every effort to increase its influence with GRUNK but there are signs of strain in the relationship,” read the cable, dated May 8, 1975. “Socialist military attaches here have spoken of reports of a Khmer Rouge supply convoy in Cambodia in February or early March being attacked by [Vietnamese communist] troops near the Vietnamese border,” the cable said. “Therefore, despite the appearance of enormous self-confidence following the ‘liberation’ of the south, the DRV leadership appears to be keeping a careful eye on possible rivals to its influence in the region,” it continued. By August, the Australian Embassy in Moscow was reporting to Canberra that Soviet Deputy Foreign Minister Mikhail Kapitsa said the USSR and China were jockeying for influence in the region after the departure of the U.S.
“Kapitsa did not say much on Viet-Nam. He indicated that China was not happy at the collapse of South Vietnam because it had reduced the Americans as a counterbalance to Hanoi,” read the cable, dated August 19. “He said that Viet-Nam would become within the next two or three years a strong unified state. It would have the strongest army in Asia apart from China,” the cable said. From Hanoi, Australian diplomats reported in a cable on August 19 that Le Duan, the general secretary of the Vietnamese Communist Party, had gone to Phnom Penh on a hastily-arranged trip after more rumors of border clashes. 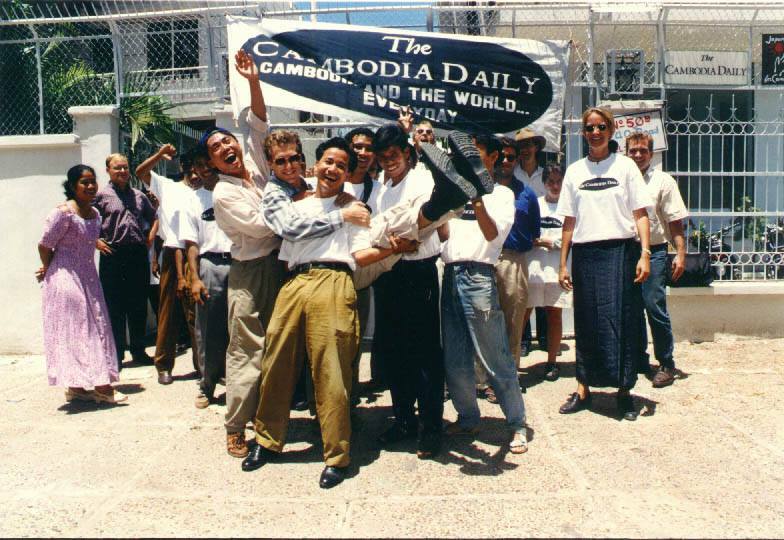 “The Hanoi correspondent of the Italian communist newspaper Unita…says that the fact the visit was on the party level suggests that the matters discussed were ‘ideological,’ specifically the Cambodian approach to the socialist revolution (whose harshness, he says, ‘affronted’ the Vietnamese) and Cambodia’s relationship with China,” the cable said. “The long term state of strictly bilateral Vietnamese-Cambodian problems is also dubious. The rival territorial claims, which, after all, have a long historical background, may not be entirely resolved,” it explained. The cable noted that Khieu Samphan, who was at the time still the face of the secretive Cambodian communists, had immediately after Le Duan’s trip gone to Beijing to meet the Chinese in an obvious show of loyalty. “Both sides expressed satisfaction with the visit, particularly the Chinese, who were pleased to see an ‘independent, sovereign, peaceful, neutral, non-aligned and democratic’ Cambodia being more firmly in their sphere of influence than in that of the Soviets or of the Vietnamese,” it said. 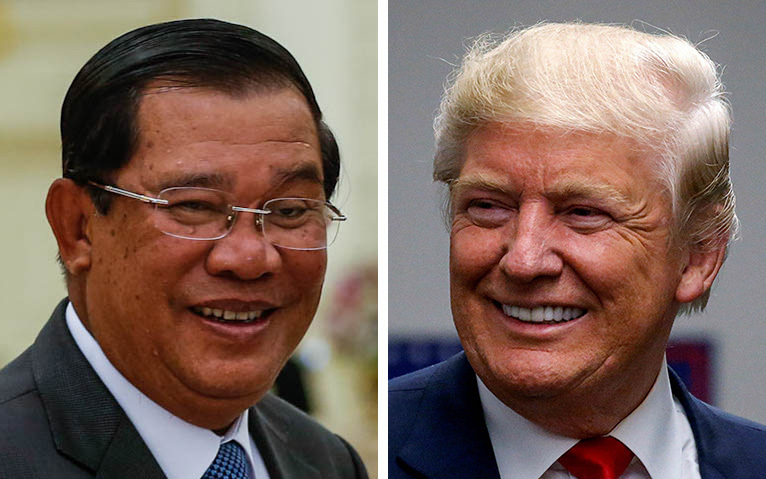 “Khieu Samphan’s visit to Peking seemed to align the new Cambodian regime firmly with China,” the embassy added in a cable sent the following day. Back in Hanoi, the Australian Embassy was by the next month already hearing of Vietnamese threats that they would not allow the Cambodians to stray too far from their influence, only five months after Phnom Penh’s fall. “Mexican ambassador was told in Hanoi this month by DRV minister for communications that while DRV recognized China and Cambodia were very close friends, one should ‘Be careful. Cambodia is not going to be China’s Albania in Asia,’” read a cable dated September 17, 1975. 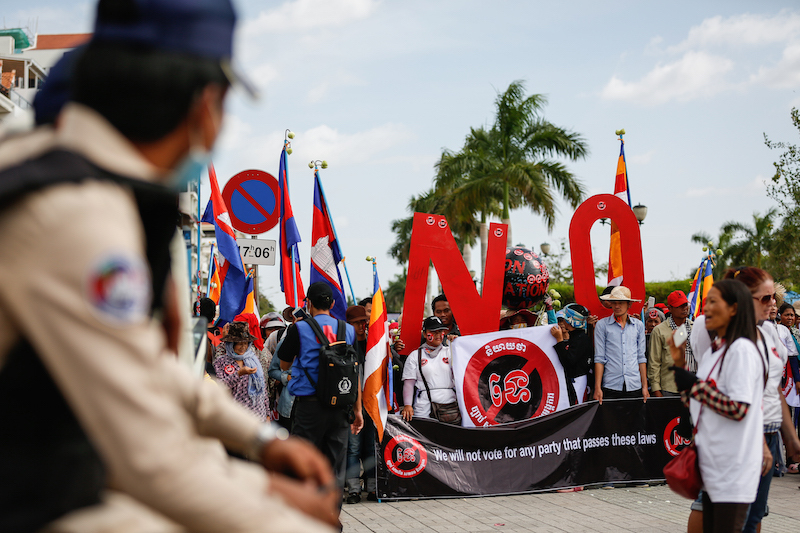 “This remark is perhaps more interesting for what it says about DRV attitudes to Chinese than for what it implies about the future of Cambodia,” the cable continued. It would be three years before a civil war broke out between a new Vietnamese-backed Cambodian government and the Khmer Rouge guerrillas, whom the Chinese continued to finance until 1991, but the signs of hostility between the two regional powers had been planted. DC-Cam director Youk Chhang, who is presently working to catalogue the documents donated by Mr. Jeldres, said the evidence of such early hostility between China and Vietnam over influence in communist Cambodia was not a surprise.